For 2.50" inside diameter springs only. 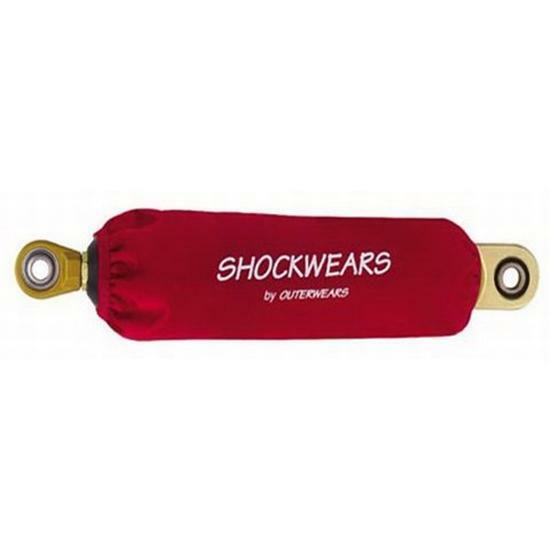 Shock and spring protective cover by Outerwears for use with 2" diameter large body shock with 2-1/2" I.D. spring. Available in red, blue or black in 10", 12" and 14" lengths. Sold in pairs. For 2" large body coil-over shock kits using 2-1/2" I.D. coil-over springs.